Present Bakery is celebrating their grand opening on Saturday, September 1 from noon to 2 pm. 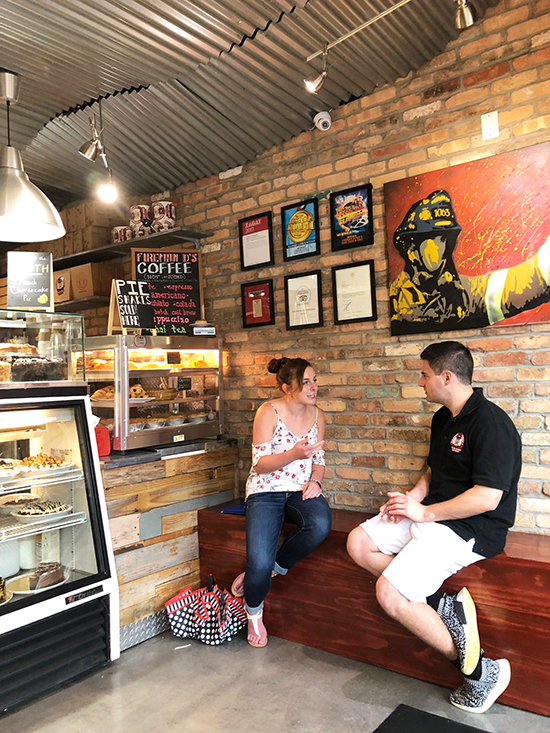 They are the newest artisan bakery in the Grove, a family-run shop featuring over a dozen specialty, gourmet croissants to choose from and coffees to pair. Their passion is the art of slow baking and being in-the-moment, being present. They look for a life balance between keeping both health and enjoyment in mind. This is why they offer traditional products that are vegan or gluten-free, so that you may make your best selection to enjoy your moment. They believe in making conscious selections of the raw materials they use in their products, all made without chemicals or preservatives. The first 50 guests will receive a complimentary artisanal croissant with purchase. Present Bakery is at 3195 Commodore Plaza. The Fuller Street block party is Saturday, September 1 from 3 to 10 pm! Admission is free. 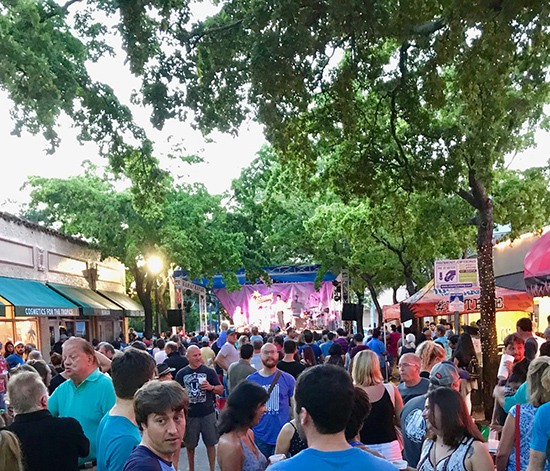 Enjoy live music, art, drink specials, food from local Coconut Grove restaurants and lots of fun. 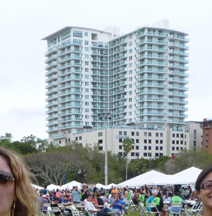 The free concert from 7 to 10 pm features live music by South Florida’s premier classic rock band “Mr. Nice Guy." Family-friendly activities will start early at 3 pm, including games, photo booth fun, and Instagram walls! Download the Freebee app for on-demand transportation from anywhere in the Grove including neighboring parking lots and garages. That's free, too! 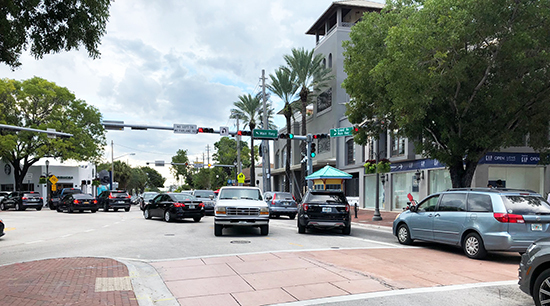 Bicycle valet will also be available provided by Bike Coconut Grove at the St. Stephen's Church courtyard off Main Highway for this event, right across the street from Fuller Street. 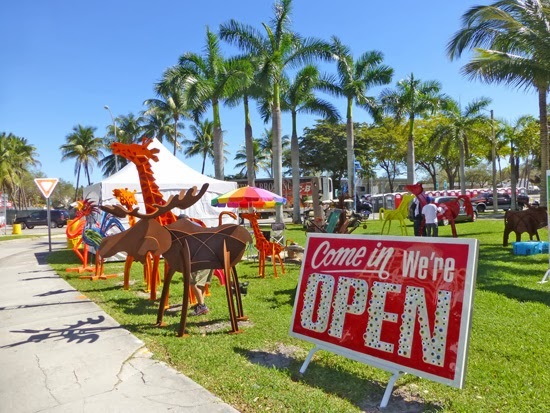 This event is brought to you by the Coconut Grove BID. This is one of my favorite memories of The Bookstore in the Grove. This first ran on October 1, 2010. It was a real community night. Lots of fun when the whole town came out. The cultural season started last night at The Bookstore with a full house who showed up to hear Arva Moore Parks talk about Coconut Grove history. She was there to sign her new book called "Coconut Grove, Images of America," and she said she wasn't expecting to speak, but when she did, she had every ear in the place. She has a way of speaking that just draws you in and the history of Coconut Grove is a very interesting subject. I liked when she talked about rooting through the attic at The Barnacle years ago and finding old glass negatives from the 1800s, which ended up being the basis of her first book in 1977 called "The Forgotten Frontier: Florida Through the Lens of Ralph Middleton Munroe." The glass negatives were actually pioneer Ralph Munroe's own work. Michelle Niemeyer is having her book signed by Arva, as Bo Bennet looks on. Bo is Arva's partner in this new book on Coconut Grove. In line to have their books autographed are Mary Struzenberg, Donna Sweeny, Sonia Sanguinetti and Lili Dones. Lili is on page 126 of the book, so am I, we actually signed the page for each other in each of our respective books. Others asked me to sign their books, there were a lot of people in the audience last night who are featured in the book, so it was almost like signing yearbooks. At left: Francesca and Glenn Terry (Glenn is in the book); at right: Bo and Arva signing more books. Hundreds were sold last night. Many people bought more than one. At left: District Commissioner Marc Sarnoff with Village Council member Renita Samuels-Dixon; right: Michelle Niemeyer and Brian Davis. Comm. Sarnoff introduced Arva to the crowd at the beginning of the night. Renita's family is part of Village West history. Sandy Francis, co-owner of The Bookstore in the Grove with Laura Pashaei, sold plenty of books last night. At right: Gay Ingram with Elizabeth Dufresne. Nancy Everett and Kathy Wynne. Bobby Ingram performed as guests arrived. Here he is, one of the last to leave. If you didn't make it to the event last night, you really did miss a great evening, one of those memorable Grove evenings that will go down in history. But you can still get Arva's book at The Bookstore, so that's the good news. Monique Lassooij packing up the books. Monique Lassooij, bookkeeper at The Bookstore in the Grove, the bookstore part of Bookstore & Kitchen, has been packing up the store the last couple of days. The Bookstore is out. It's a sad ending to a great place. 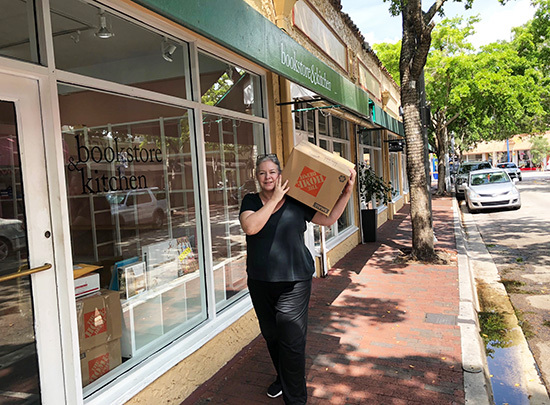 This is the third location for the bookstore, which opened 11 years ago; it started off at the corner of Virginia and Grand and ended up on Florida Avenue and Mary Street and then their last stop was Fuller Street. The store sold to new owners last July and it sort of went downhill from there. The menu selection was slashed by what looks like 99%, the books went down to 10% of what was there and the unfriendly owner cared nothing about the community. The Kitchen part is still open and hopefully will stay open, but I've been told by other tenants at Florentine Plaza that everyone's rent is being doubled or tripled, so there may be a large fallout. Tents will go up soon for a few days to get rid of termites and that will affect business for those already not affected by poor business. The Bookstore has such great memories for me, the first bookstore. We had meetings there from 4th of July to the Bed Race, and the Mad Hatter; Santa visited with children there. There were book signings with authors and open mic nights. Everything happened there. I ate there almost daily. I enjoyed weekend mornings with the Breakfast Club, their healthy bowls and burgers and steel cut oatmeal were delicious. But that all came to an end last July when the new owner felt she knew what was best. Getting rid of the number one seller - the bowls and getting rid of the number two seller, the burgers was a less than smart move. They used to sell 1000 empanadas a week, that was taken off the menu! The kitchen staff was let go, the kitchen staff that was there from day one, the staff that knew what you wanted to order and how you liked it even before you ordered it! The large lunch crowd disappeared overnight. All the regulars left. The Breakfast Club who ate there daily from day one left, too. A friend asked me one time if those five things on the new menu were the specials of the day. "No," I said, "That is the menu!" The new owner was quoted, in print mind you, telling the newspaper that she carried books that she and her staff liked, not what the New York Times or the public cared for. She was literally quoted as saying, in print, that if people didn't like it, they could go to Amazon. A bricks and mortar book store telling people to go to Amazon. At least we have Books & Books now and they'll order a book for you if they don't have it in the store. Here are a bunch of stories from the past Bookstore adventures over the years. They come up randomly, not in order. Enjoy. There are a lot of fun stories. Here is the announcement in 2007 about the new bookstore coming to the village. The Bookstore in happier times. "Sessile Crown | Biscayne Bay Series," by Michael Gray. The Gallery @ CGAF will hold their season opening on Saturday, September 8 from 7 to 10 pm. Featured artist is Michael Gray, whose "Life Forms" exhibition is comprised of new works that address the loss of living reef tissues in Biscayne Bay. This series of mono-type prints are a documentation of the current state of the reef system which is being threatened by bleaching, disease, destruction and pollutants exiting through urban waterways. 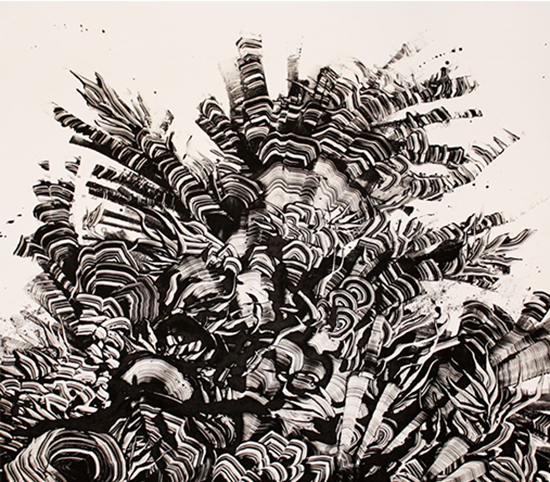 Michael uses colorless abstract form, gesture repetition and intuitive mark making to represent his anxieties of habitat loss. He is a Miami-based artist who has spent the past two decades observing the changes in the ecology of Florida including the Everglades, mangroves, ocean and wetlands around the state. 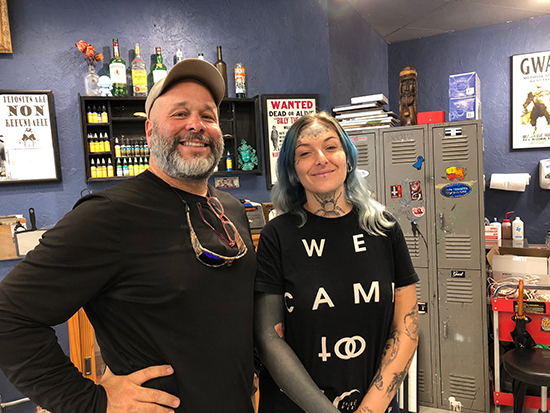 He is a graduate of fine Art From Florida International University and has exhibited his work in several Miami locations including the Frost Art Museum, the Bakehouse Art Complex and Laundromat Art Space. The Gallery is located at the Mayfair Atrium ta 3390 May Stree, suite 128. The art will be exhibited weekdays from September 8 through September 28 from 9 am to 5 pm. Andrew Rasken resigned from the HEP Board. Commissioner Joe Carollo accepted his resignation. You may remember him from this story, "He's the type of neighbor we don't want." He purchased the two wooden houses in Village West and then wanted to have them knocked down by allegedly destroying part of the houses himself in the dark of night. He was then appointed to the HEP Board (Historic Preservation Board), which was quite strange. 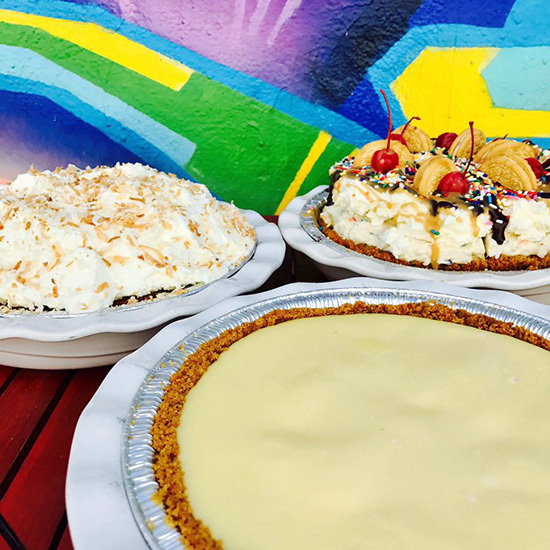 The Marlins have been holding "Neighborhood Nights" and on Sunday, September 2, it's Coconut Grove's turn. The game is at 1:10 pm, the Marlins vs the Blue Jays. Enjoy a family fun-filled day at the Ballpark. Get your photo taken with Billy The Marlin at his Clubhouse or try out the MLB Home Run Derby virtual reality. Plus, kids 12 and under can run the bases post game. You can check out the seats available and buy tickets here. Fireman Derek's Bake Shop, coming to the Grove soon. 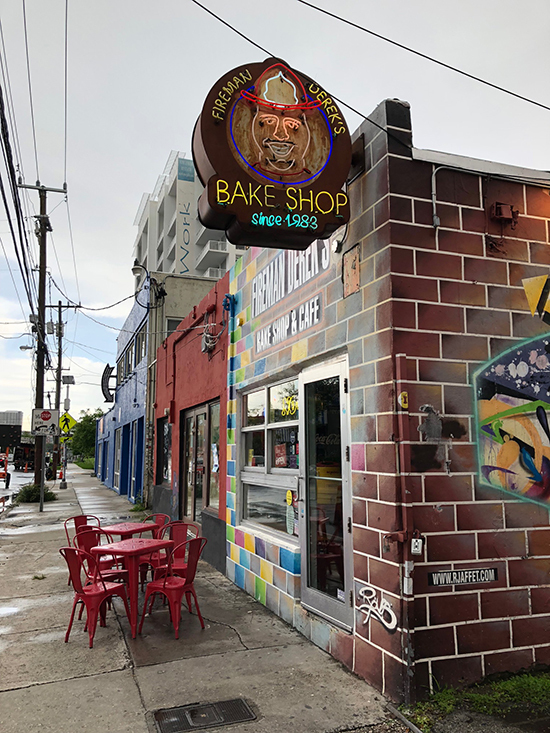 You may have noticed the signs up at the new location for Fireman Derek's Bake Shop at 3435 Main Highway. The Wynwood favorite is coming to the Grove and hopefully will open before the holidays. Patrick Murdock, Jr., sales and marketing manager of Derek's tells me that Thanksgiving is their busiest time of year, so they hope to open by then. 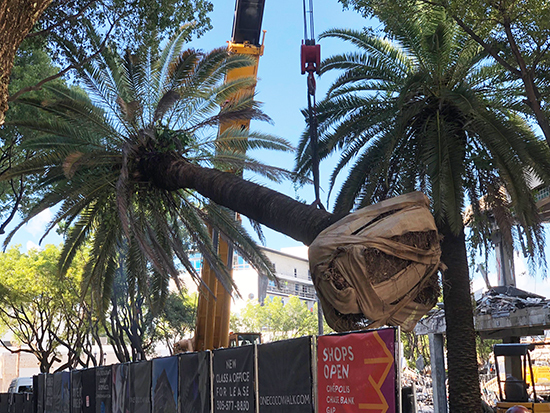 "We have been working with the city for the past few months to get all our permits and everything done right so that there's no problems down the road. Construction is planned to start sometime next week," says Patrick Jr.
Fireman Derek's is about two firefighters, Derek Kaplan and his benefactor Patrick Murdock. Patrick would always brag to his wife Kim about the incredible pies Derek would make. Patrick passed away suddenly at age 45 and left an insurance policy for his family. Kim knew what to do with that and she promptly invested in Derek and Fireman Derek's Bake Shop was born. The pies are very rich. You could pierce a slice with a fork and hold it up like a lollipop, it was that thick and rich. What's interesting about the whole thing is that it's a sort of home-coming for Kim. When she was 21, she bought Hattie's Place and turned it into Tavern in the Grove! And now the Grove location is sort of across the street. I was talking about the old Grove yesterday. Hattie was the lady who sat at the front of a diner sort of place where Le Bouchon is now. I think she took payment, too. She always wore a big fancy hat and sort of sat at a podium-sort of thing. She was known by everyone. When a bar was opened next door, before it was Tavern, it became Hattie's Place, named after Hattie from the diner next door. Fireman Derek's makes excellent coffee, too. Something that we have a lot of in the Grove. Along with Fireman Derek's opening, there will be Blue Bottle Coffee which is opening at 3034 Grand Avenue, the former Johnny Rockets location. There seems to be a standstill at that location these days, but that is the plan. Blue Bottle was born in Oakland, California. 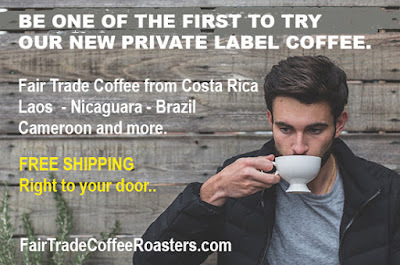 Their vow is to only sell roasted coffee that is 48 hours old or less. They feel that is where you get the peak flavor. They promise to use only the most delicious, and responsibly sourced beans. Unfortunately, the wait for Blue Bottle will be six months or more. 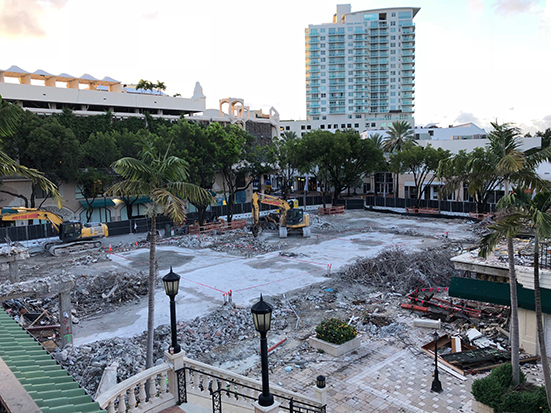 Across from Blue Bottle is the "new" Starbucks, which is taking up home at the corner of McFarlane, Grand and Main Highway while CocoWalk is renovating and then they will return to CocoWalk. Across from there is Panther Coffee . Across the street is the new Bookstore & Kitchen, which sells pies and coffee and around the corner on Commodore Plaza is the new Present bakery and coffee shop. In between there are many places to sit and have coffee and desert - Le Pain Quotidien, GreenStreet and all of the other restaurants up and down the streets. So if you love coffee (and pie), you are in luck! Some of Fireman Derek's delicious pies. (Photo courtesy Fireman Derek). 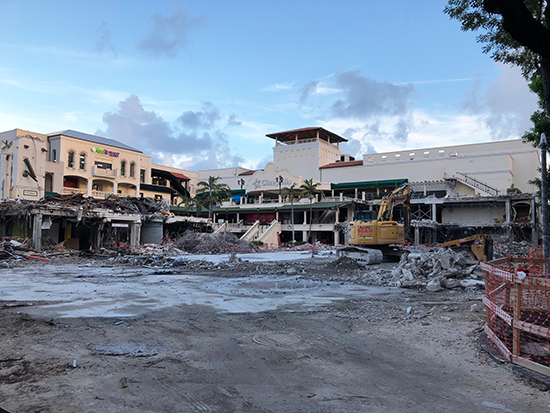 Richard Fendelman, film maker and Grovite, sent me this video he took of the final stages of CocoWalk called, "The demise of CocoWalk 360 degrees"
Looks like they are keeping the "CocoWalk" sign until the very end. People are fascinated with this, we received so many comments on social media, so I'm posting this here just for the hell of it. Move the image with your finger or mouse to see the 360 view. 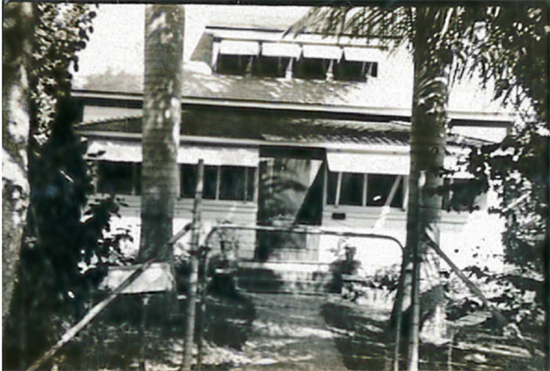 The old Lums on McFarlane Road in the 1970s. I was writing about CocoWalk and mentioned the old gas station, someone on Facebook mentioned that it was a Sinclair gas station. So picture it - the old Grove - where Sapeint is now, where the form bookstore was, at the corner of Grand and Virginia, there was Winn-Dixie and across Virginia was a Sinclair gas station. Small town America. I pictured that Winn-Dixie in my head for years and then was thrilled to see it in a photo on the wall at Panther Coffee on Main Highway. Stop by and see some of the old Grove photos at Panther. Down block I remember the I Ching building. I remember being on the third floor and the floor was creaky, I almost felt as if it would cave in. And I remember the Kress 5&10 store where Jaguar the restaurant is now. I remember the Lums. I ate there a lot with my family. 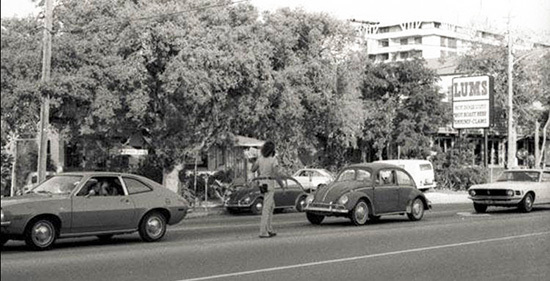 I saw this old photo online somewhere, it's the Lums in the 1970s. I don't remember all the foliage and I thought it was higher up on the bluff, but I guess not. Lums was where the Oasis building is on McFarlane now. It's at the left of the sign in the photo above. I remember a lot more, but I don't remember the drug store or two that people speak about often. They or it was on the corner where Johnny Rockets was and/or the new Starbucks. Thee were one or two drugs stores, near as I can tell. What's sad is that in the last few decades, the Grove's growth has all been based on greed. Did we need CocoWalk or Mayfair? I mean I have nothing against them, but what would the Grove be like without these two large structures? Do we need office buildings and huge condos? We could have remained a little village with a Winn-Dixie, a gas station, drugs stores a 5 & 10, you know, a neighborhood. It's interesting to think about. 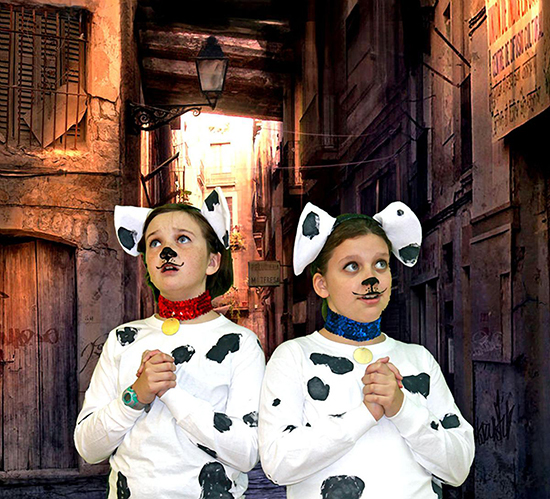 The Miami Conservatory of Music is proud to announce three new Broadway Theater programs for children this fall. 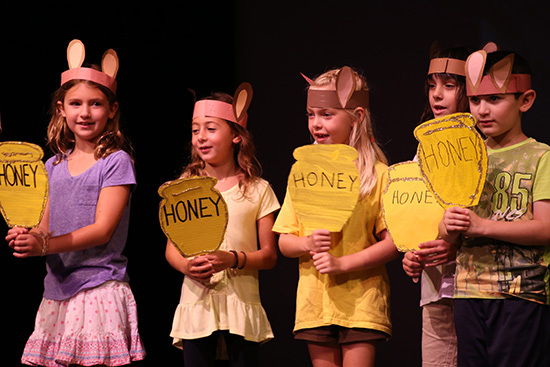 Registration is open for classes where children will learn to sing and act in a Broadway Theater show with a final performance for their parents and the public. The shows are: 101 Dalmations Kid’s Musical Theater, Disney, The Movies, The Music, Celebrating the Disney Magic!, and, Mary Poppins Jr. 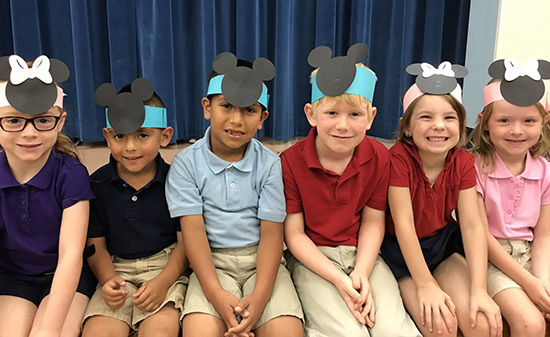 It's a great after school activity and is ideal for children who may want to participate in a theater production and receive credit that they can put on their resume, or for any child who might love the experience of participating in a musical. No experience is required. The classes are held after school during the week on Tuesday and Wednesdays at 2911 Grand Avenue #400A, Coconut Grove (Mayfair Center). 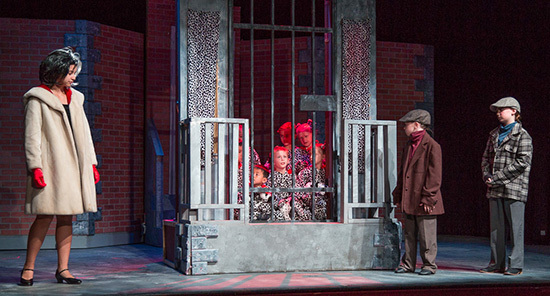 The Conservatory website has all the details, descriptions of the shows and the class fees. To see more including past Broadway Theater for Children productions the please visit MiamiConservatoryOfMusic.com. 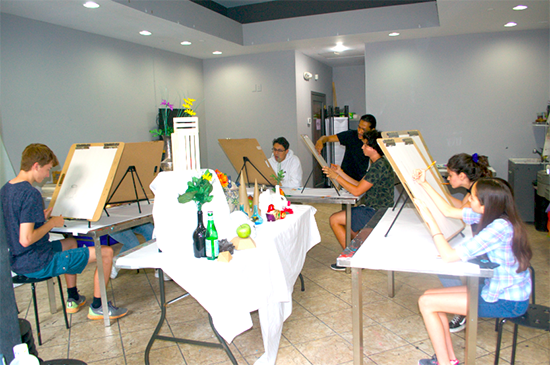 Art Box, the art studio in Coconut Grove, is launching a new program catered to those between the ages of 12-18 interested in putting together a formal artist portfolio and improve his/her artistic technique at a profound level. "I remember being a 17-year-old, wanting to apply to art school but not having a clue as to where to begin." said Sofia del Rivero, owner and founder of the art school. "I needed some guidance; someone to give me constructive criticism, dissect my artwork and come up with a game plan to help me build the strongest portfolio I could. This is now what we have to offer at Art Box. Whether you are interested in applying to a school or not, our weekly sessions are guaranteed to make you a better technical artist." 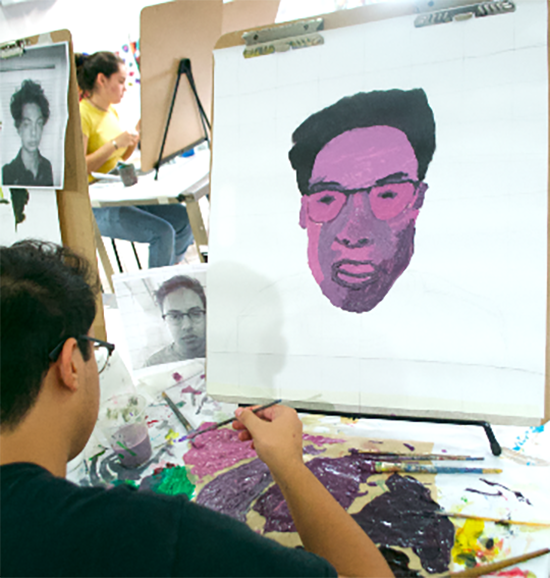 The Teen Portfolio Art Program is taught by artist and New World School of the Arts alum Johann Muñoz. Johann puts a very strong emphasis on individualized instruction that depends on the knowledge level, skill set, and area of interest of each student. 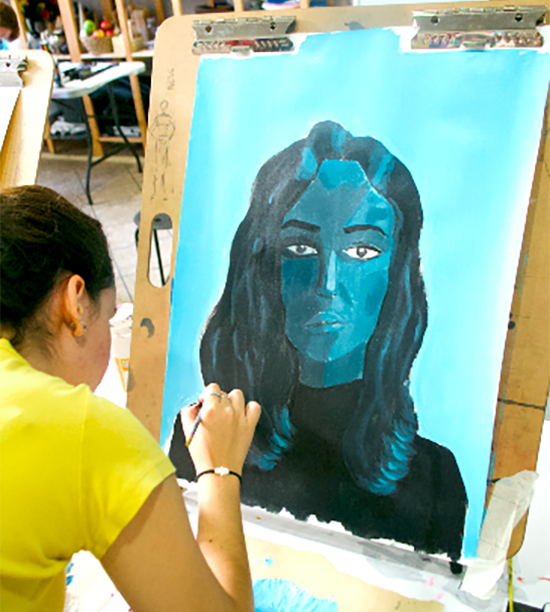 Students are exposed to various mediums such as Drawing, Painting, Sculpture, Printmaking, and Animation. The program launches Monday, August 27 and will take place at the Art Box studio, located in the Mayfair in Coconut Grove at 2911 Grand Ave, Suite 400E, every Monday from 4:30-6:30 pm. Registrations are per semester (August - December), and prices may be prorated for late sign-ups. To learn more, please visit artboxmiami.com or call Sofia for more information at 305-778-1270. 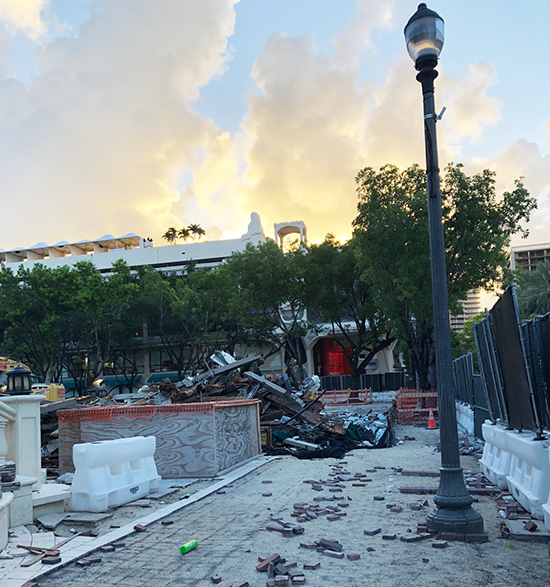 This is the state of CocoWalk this weekend. I checked it out yesterday morning. I had seen it from the 24 Hour Fitness gym across the street. I was looking out from the second floor window and for some reason, the empty space reminded me of the space so many years ago. For some reason on that corner, I'm picturing a closed down, abandoned gas station and I can vaguely remember people have a little flea market there on Saturdays, I think. Across the street from that on Virginia and Grand was Winn-Dixie. A security guard at CocoWalk saw me taking pictures and he told me I should go to the third floor and see the view from there. Here it is. I had hoped to catch the falling of the top roof but missed it. A friend sent me this, it happened Friday. When I posted it on Instagram I received a lot of comments. I was surprised to see that people are sad, they really love CocoWalk. The two February art festivals have opened the application process for the festivals which are February 16 to 18 2019. Final Deadline for an increased fee of $40.00. Thursday afternoon in Center Grove. I spent a lot of time out around the Center Grove yesterday and boy, is it a mess. Too many changes are going on around here at once. 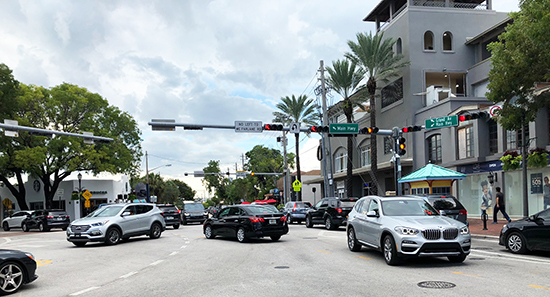 Traffic is backed up for blocks due to the street closure at the Optimum Development building next to Greenstreet. The one lane is closed and it could be weeks before it's open, due to road construction around the building construction. Someone suggested that traffic be routed from McDonald to Grand Avenue and not allow traffic on Main Highway going South, so perhaps the traffic turning on Main and then going up Commodore to Grand Avenue could be cut off. I also have a suggestion. A lot of traffic starts at Mary Street and goes up to Grand Avenue and is backed up from there. What if Virginia Street traffic goes toward Bird rather than toward Main Highway and cars can then turn onto Virginia and then turn onto Oak Avenue or go all the way to Bird or whatever. But I know the one lane on Virginia is open for the fire trucks, so maybe that won't work either. Any other solutions other than riding a bike or scooter, oh wait, no scooters yet, hopefully soon. The Sonesta hotel will soon become a Best Western. A Best Western Premier, whatever that is. I don't want to put down the hotel, but with all the upscale things going on around here the Sonesta will be a Best Western? 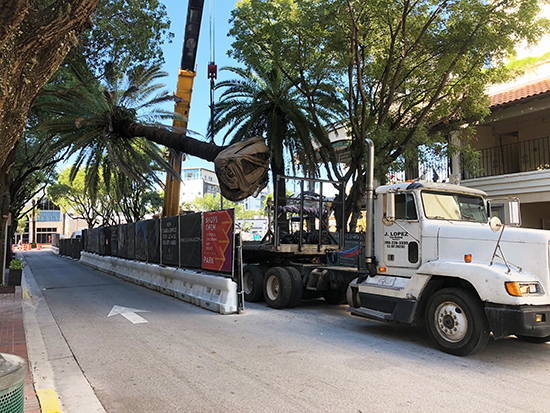 Word has it that Brickell would not allow a new one to be built and neither would Midtown or Wynwood, so they came here. Those who own units there are concerned about property values going down as much as 20% per unit. Time will tell. They close on Monday and in about 90 days the name will change, but not to Best Western but to "Hotel Aria," a subsidiary of Best Western. CocoWalk is shuffling palms around today. They are saving them by moving them from the construction zone. If those palms could talk. In 2016, Vizcaya approached the Patricia and Phillip Frost Museum of Science and CARTHE, a team of ocean scientists at the University of Miami’s Rosenstiel School of Marine and Atmospheric Science to start a conversation about trash and pollution at Vizcaya. 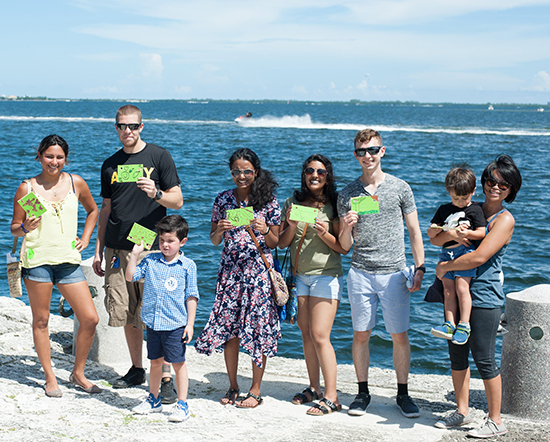 Together they launched an experiment,The Biscayne Bay Drift Card Study (#BayDrift), to identify the origin of the trash washing up into the basin of the Barge and mangroves around Vizcaya as well as the rest of Biscayne Bay. Throughout the year, the Bay Drift team conducted four experiments,in different seasons and during different tides. At each experiment small wooden drift cards (inscribed with instructions on how to report them when found) were released by school students and members of the community. Additionally, CARTHE released GPS-equipped biodegradable drifters, designed to capture accurate tracks as they move through the bay. Data tracks reveal how currents and tides move debris around Biscayne Bay. Though scientists are still analyzing the data, it is clear that trash released in the bay, remains in the bay. Some of the satellite tracked drifters did leave the bay and followed the Gulf Stream into the North Atlantic, but the majority swirled through Biscayne Bay. One of the most important aspects of this study is connecting people through citizen science. Over a dozen environmental organizations and community agencies have joined Vizcaya, Frost Science and CARTHE to conduct the experiments. Hundreds of school students and community members have volunteered to release drift cards and and dozens of citizen scientists have recovered and reported drift cards. 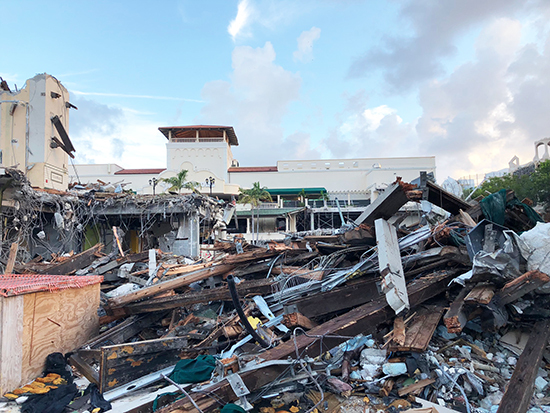 The project has raised awareness about ocean science, the effects of pollution and provided an opportunity for community organizations to work together, to keep South Florida’s bays and oceans clean. Throughout the year, Vizcaya will host programs to decorate drift cards and share updates about the project. Visit the Vizcaya Calendar page for dates and more information. While it may seem that decorating the drift cards is just a “nice touch,” it actually serves as a critical component for #BayDrift. If drift cards are left plain, they are more likely to be overlooked once they’ve washed up along the shorelines of Miami-Dade County. Painting eye-catching drift cards in bright colors and decorated with community-made art makes them more likely to be picked up and reported. Vizcaya is holding a Trash Talk program on Sunday, August 26 from 11 am to 2 pm. Tickets may be purchased here. Head over to CARTHE’s #BayDrift page to explore the data from each of the experiments. The page is updated after each drift card release, so be sure to check back regularly and to explore #BayDrift on Instagram for photos! 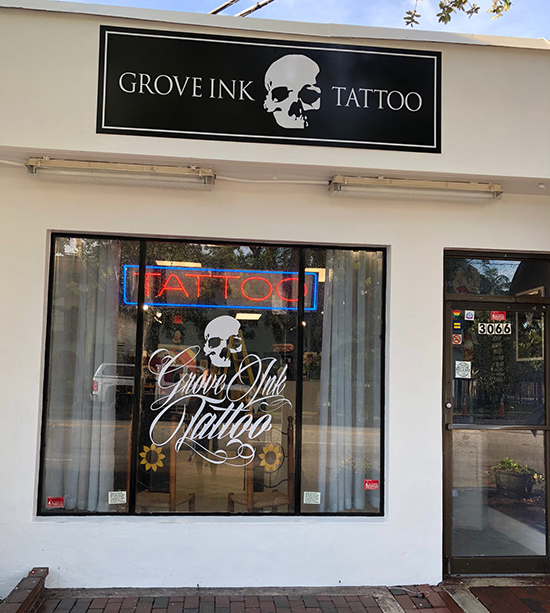 We visited Grove Ink's new location at 3066 Grand Avenue, this is the former Condom USA location and Grove Ink's third location in the Grove. That's owner Noel Garcia with Briga. Grove Ink opened in 2010 at Florentine Plaza, we covered the opening party here. 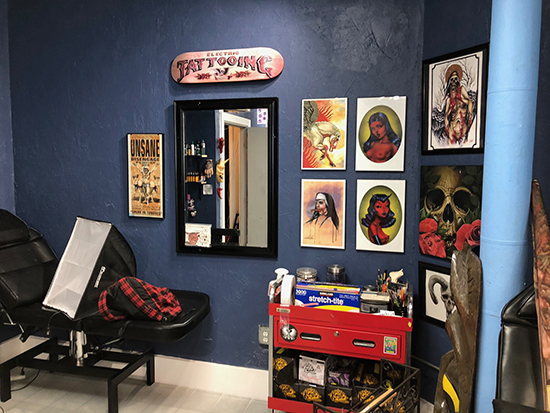 Next, they moved around the block onto Grand Avenue at 3062 Grand Avenue and with the tattoo shop, New Age Piercing and the Condom shop, we called that our little red light district. 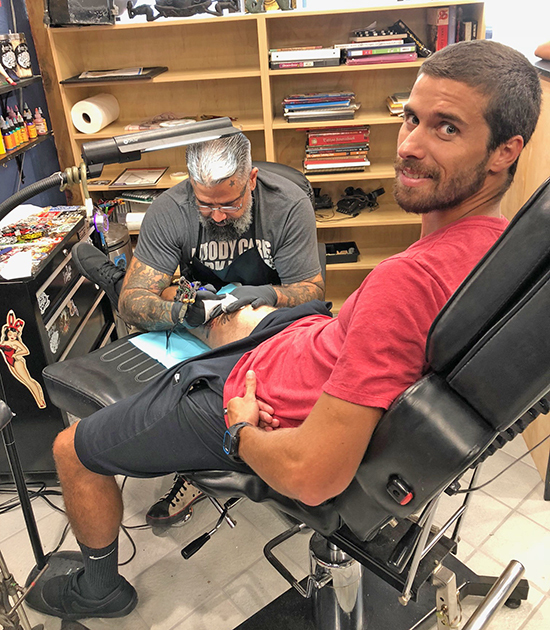 This is one of the first customers at the new location, Joe is giving him a leg tattoo. Come out to the Fuller Street block party! 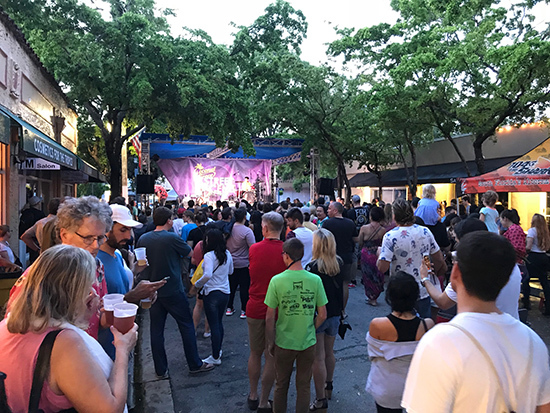 The Coconut Grove BID is bringing back the Fuller Street block party. The previous one was in June. The next event is Saturday, September 1. Come out for live music, art, drink specials, food from local Coconut Grove restaurants and lots of fun. Admission for the block party is free. Ditch your car and ride for free, too. Download the Freebee app for on-demand transportation from anywhere in the Grove including neighboring parking lots and garages. Bicycle valet will also be available provided by Bike Coconut Grove. Bike parking is in the St. Stephen's Church courtyard off Main Highway for this event. The courtyard is entered from the St. Stephens Main Highway parking lot driveway closest to the gate, right across the street. 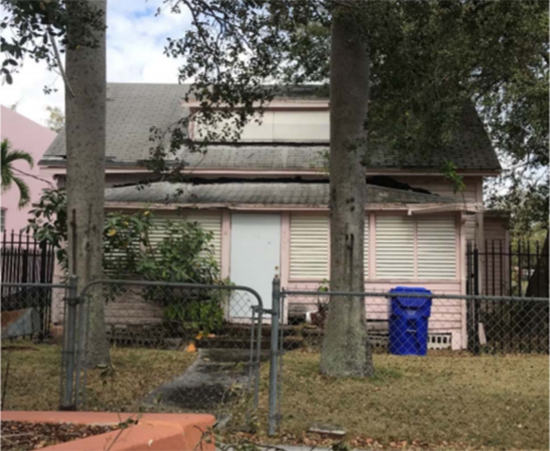 Another difference between Coral Gables and Miami, is that the photo posted with the letter, shows the historic shotgun homes being preserved in Coral Gables. 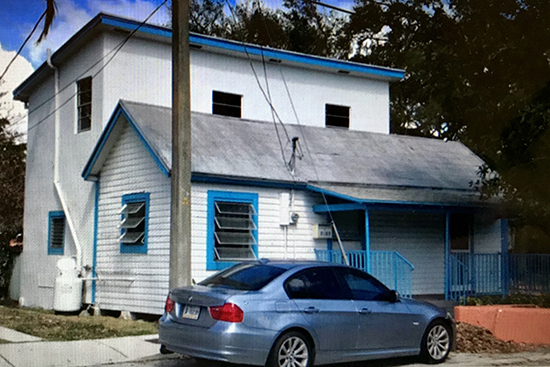 In Miami, (see photo here above and below of 3859 Washington Avenue and 3603 Charles Avenue in Village West; these are new "historic resources" of the City of Miami under their experimental highly acclaimed (by their staff, at least) "thematic" "Wood Frame Vernacular Residences of Coconut Grove Village West Multiple Property Designation. I also provide two additional images from the Historic Preservation staff report recommending designation of buildings for historic resource designation. Both deal with 3447 William Avenue. The community referred to the two-story residence as the "Bullard House." A review of City Directories, US Federal Census records and Deeds, indicates the Bullard Family lived in the home for multiple decades and owned it since its construction. This is the current house. The first is from the beginning of the report that focuses on the 3447 William Avenue property as an example of the important “Wood Frame Vernacular Residences” that should be designated. Do read the caption. The other attachment is the page in the report that showed the current photo and the photo that the staff and the Historic and Environmental Preservation Board used to determine if there were significant changes in the structure that disqualified it from designation as an historic resource. Take a careful look at both photos. Tax Card photo of 3447 William Avenue house. Guess what? 3447 William Avenue was excluded from historic resource designation, because the Preservation Officer Warren Adams recommended "...removal of the property as the original building had either been extensively altered or the original building had been demolished and replaced with the existing building.” That is right, after supposedly detailed research to place the building on the List, and using it as a poster child of what needed to be preserved, it was excluded because at the point of final consideration, it was not known if the “...original building had been either extensively altered or the original building had been demolished and replaced with the existing building.” More than a slight lack of due diligence and failure to exercise due care, it would seem. 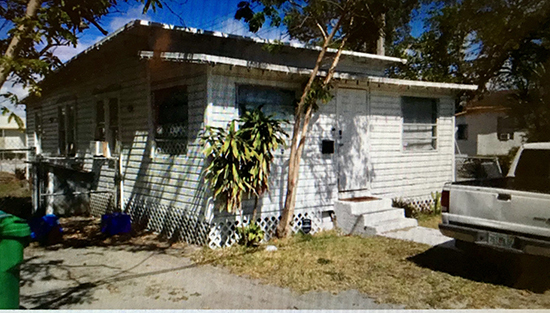 (Note that this first 3347 William Avenue, page 13 in the official report in the records of the City of Miami, disappeared in the final report—deleted, and the report (but not the table of contents) re-paginated.